Reward your hardworking lawn care crew with the walk behind mower that might make them forget they're working at all. The FW35 dual hydrostatic commercial walk behind mowers feature all-new, CC™ Centralized Control handles. Inspired by professional landscapers, the redesigned handles have been moved to a more natural, ergonomic position. Improved comfort can mean extended productivity. Even better, the narrower stance of our handlebars protects hands from scrapes and cuts when navigating around shrubs and trees, mowing beside walls and fences, and when loading and unloading inside trailers. From the first moment you take hold of the innovative FW35 walk behind, you'll sense the superior control. The excitement only builds as you power up the electric starter and glide the cruise control bar forward to your desired speed. Slice through thick grass with ease and get the job done sooner than you expected. With Ferris' reputation for heavy-duty construction, you know this machine is built to provide years of satisfaction. The deck is manufactured with two layers of steel running the entire width for added strength. We lap-welded the corners for increased dent resistance. And which engine will you pair with your new self-propelled, wide area lawn mower? 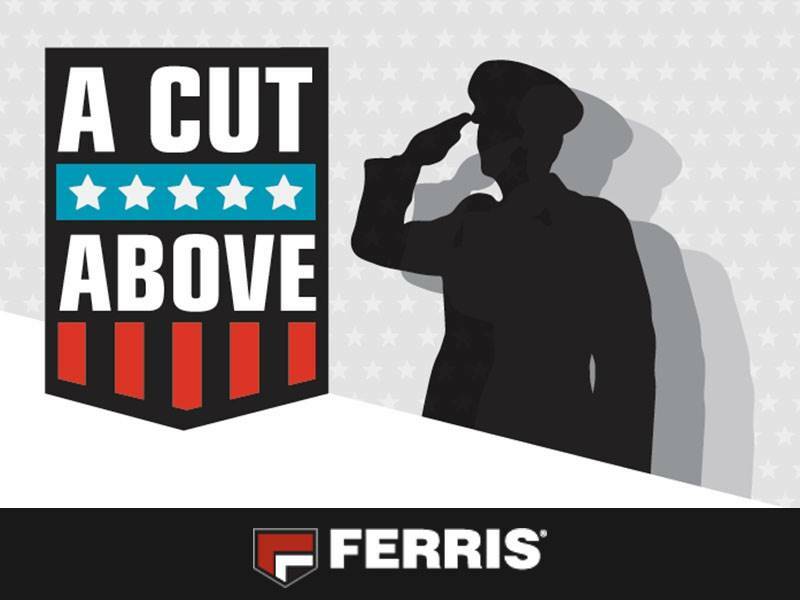 Ferris offers freedom of choice: four powerful options from Kawasaki and Briggs & Stratton, each designed to satisfy the reliability requirements of any 8-hour-per-day lawn professional. And, powerful enough to propel even our zero turn mowers. Of course, if you're looking for bragging rights, look no further than the awe-inspiring Vanguard™ 810cc EFI. 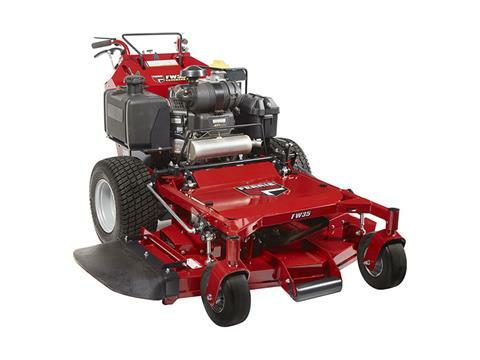 Leading the industry in fuel efficiency, this beefy new, American-made1 V-twin unleashes 28 gross horsepower* while barely sipping from the mower's 5-gallon fuel tank. Built to run sunrise to sundown, this walk-behind is a constant performer for any size mowing crew. Deflector Down - 67 in. Deflector Up - 57 in.